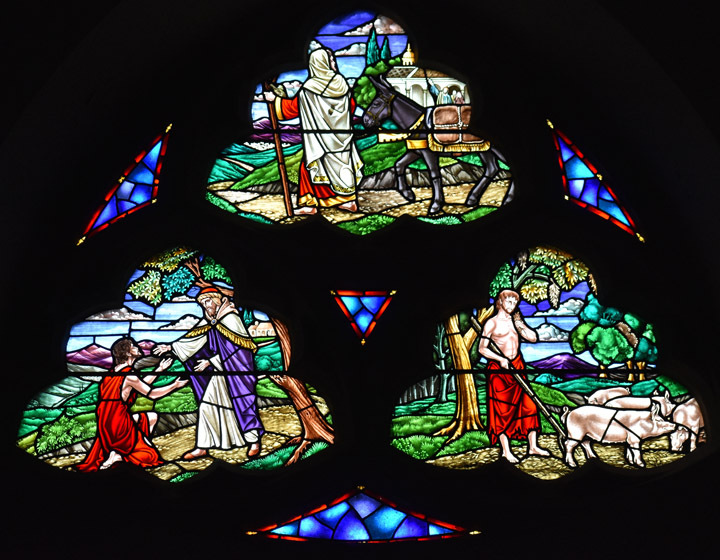 Brief Description of Subject: This window depicts scenes from the Parable of the Prodigal Son as found in Luke 15: 11 - 32 (KJV). A man had two sons, the younger wanted his inheritance now, so the father divided his property between them. He led a boisterous life, squandering the money, and when a famine hit he had no money left. Eventually he came to his senses and realized his father's servants had a better life. He decided to return to his father with the intention of becoming a servant to his father's household as he was not worthy to be his son. The father told the servants to bring him food and clothes for this son and prepare a celebration feast. The older son, that had remained faithful to his father, was angry that he had never received such a feast in his honor. 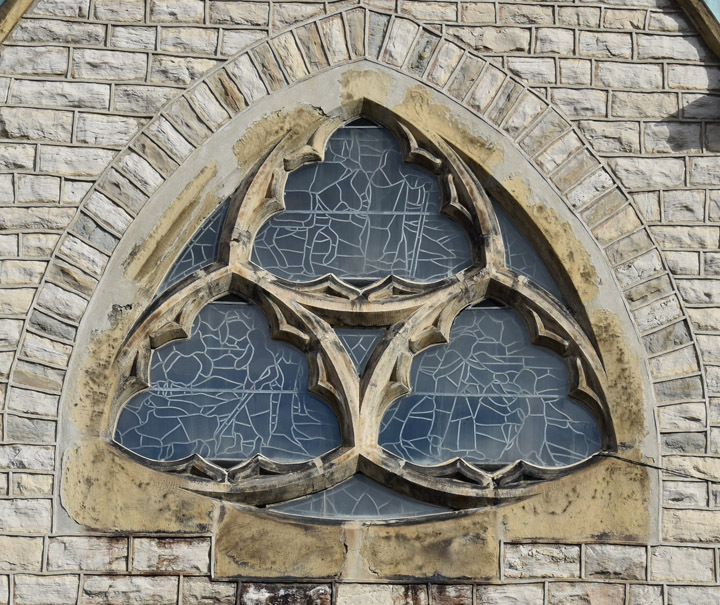 Plaque under window reads: "The clerestory window was given to the glory of God and in memory of their parents by William Augustus and Evelyn Smith Walker."